PHILLIPS 66® is among the largest refiners in the United States and a major supplier of jet fuels and avgas to general, commercial and military aviation. Our extensive network of refineries, pipelines and supply terminals are strategically located to provide reliable and cost-effective supply across the country. For you, this translates into secure supply now and in the future. Refiners. Distributors. We are both. PHILLIPS 66® is among the largest refiners in the United States. Our global oil production and reserves enable us to create jet fuel and more avgas than any other producer. We make a significant investment to ensure that our dealers receive the fuel they need – now and in the future. 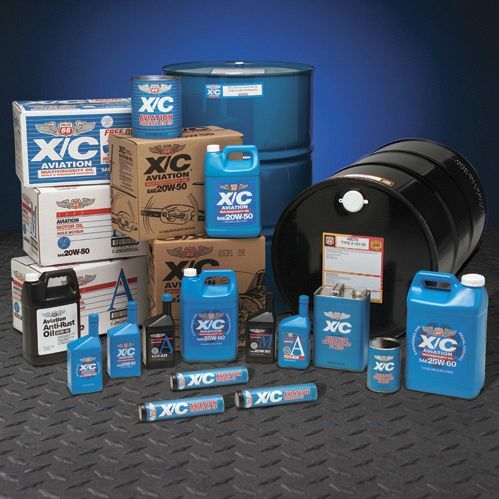 Our refining muscle is bolstered by an extensive distribution network of more than 700 FBOs coast to coast. PHILLIPS 66® is always interested in finding new FBOs that want to join our tradition of excellence. Together we can provide pilots with high-quality fuel and innovative aviation services to fly into the future. Since 1928, pilots have relied on Phillips 66® FBOs for fuel they can trust and services to keep them in the air. Our track record includes many historic innovations. For instance, we established one of the first corporate flight departments. We pioneered high-altitude fuels. We developed the first anti-icing additive for jet fuel. In 2002, Conoco and Phillips Petroleum merged to form ConocoPhillips, uniting two companies whose roots date back to aviation’s infancy in the 1920s. Even back then, both companies saw the burgeoning possibilities of aircraft transportation, and both were involved in developing aviation fuels and oils. Both companies made significant contributions. During WWII, this included developing 100-octane fuel to increase power and efficiency for long-range flight. Other technology improvements followed, including the controllable-pitch propeller, the first refueling truck, and the drag chute. Ingenuity and innovation were the foundation of our past, and they signal a bright future. PHILLIPS 66® Aviation continues as a leader in the industry, providing smart programs and quality fuel for the flying public and our network of FBOs. Pilots and FBOs have been relying on PHILLIPS 66® Aviation for more than 80 years as their source for the highest quality jet and aviation gasoline fuels. 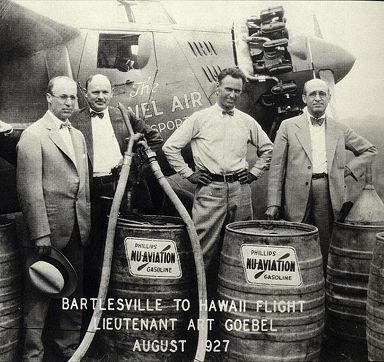 Our stature in aviation stretches back to WWII, when we developed 100-octane fuel. Later, we developed anti-icing additives for jet fuel and made technology improvements such as the controllable-pitch propeller, the first refueling truck, and the drag chute. At PHILLIPS 66® Aviation, our dedication to innovation continues today. We remain an industry leader, providing forward-thinking programs and quality fuel for both the flying community and our vast network of high-quality FBOs. PHILLIPS 66® has been an ardent supporter of general aviation since the earliest days of flight and is responsible for many firsts in the field. The PHILLIPS 66® line of aviation lubricants is designed to exceed your expectations with premium single and multi-viscosity engine oils and the highest quality hydraulic fluids. Approved by the FAA and leading engine manufacturers around the world, the Phillips 66 line of aviation lubricants offers everything your aircraft needs from break-in to TBO.